The Department of Kinesiology offers a degree with the following areas of concentration: exercise science, outdoor education, and sport studies. In addition, the Departments of Kinesiology and Social Work offer a dual degree program, which consists of a master of science in kinesiology with a concentration in outdoor education, as well as a master in social work (M.S.W.). The MS in Kinesiology: Exercise Science prepares individuals for advanced careers in health and fitness promotion and education programs in hospitals, sports medicine centers, wellness clinics, universities, and rehabilitation facilities. Students are also prepared for terminal degree programs in the health professions, basic biology fields, medicine, or other health-related fields. Students must earn a grade of B- or better in every required course and must complete a capstone requirement to finish the degree. Interested students should consult with the option coordinator, Dr. Summer Cook. The University of New Hampshire is a leader in graduate education in the field of outdoor experiential education. Our graduates have gone on to run collegiate outdoor programs, pursue Ph.D.'s and join college faculty, design executive leadership programs, direct outdoor education centers, work in non-profit management, administer state and federal projects, lead international programs, and teach in K-12 schools in both the public and private sectors. The goal of the Master of Science program is to prepare outdoor experiential educators with the skills necessary to become managers and directors of outdoor/experiential education programs, conduct advanced practice, and/or pursue a related degree at the Doctoral level. In addition to core courses, students focus on one of three areas: higher education outdoor programming, youth development outdoor programming, or adventure therapy (through the combined MS/MSW dual degree with Social Work). Students focusing on higher education outdoor programming gain an understanding of college-level policies, practices, and program structures common to outdoor programs in institutions of higher education, particularly those with outdoor orientation programs (OOPs). Students focusing on youth development outdoor programs learn about contemporary perspectives on youth development, especially related to participation in non-formal educational programs in a variety of outdoor settings and activities. Students focusing on adventure therapy become eligible for licensure and clinical social work practice in wilderness, community-based, or other settings. The Kinesiology Sport Studies graduate program focuses on preparing professionals in youth, interscholastic, intercollegiate programs and elite sport agencies to provide extraordinary sport experiences. Providing an understanding of the theoretical and practical knowledge and skills within the context of sport is essential in developing sport professionals at UNH. Our curriculum provides a framework of coursework, and the flexibility to focus preparation on careers in coaching or administration or additional graduate study in sport psychology. In addition, students have opportunities for applied experience and research with faculty. The graduate program in Kinesiology: Sport Studies engages students in learning experiences in the classroom, in applied settings, and in research. The focus on a theory-to-practice approach is infused throughout the curriculum with the goal that our students will be well prepared professionals as they enter the workforce or further graduate study. The use of adventure experiences as a therapeutic or socio-educational intervention for clients with mental health needs is well documented. 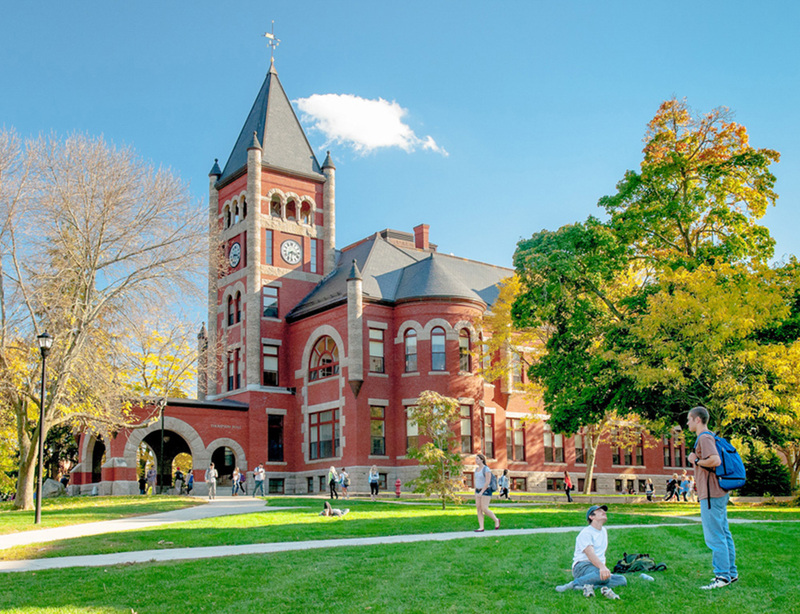 The UNH Departments of Social Work and Kinesiology offer an Integrated M.S.W./M.S. Dual Graduate Degree Program. This program is the first of its kind in the nation. 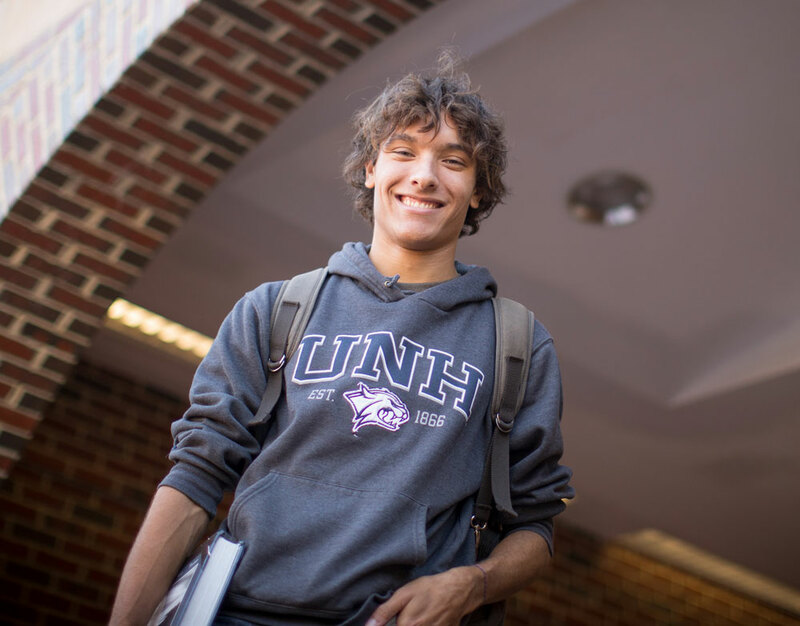 It organizes a significant number of existing resources and assets at UNH in a way that empowers participating students for a career in adventure therapy. Prospective graduate students in the SW/KIN Integrated Dual-Degree program apply and need to be accepted into each separate graduate program. Upon acceptance in both programs, students progress through the integrated curriculum, graduating from both programs at the end of their third year. The exception to this would be an Advanced Standing student in social work, who could graduate from both programs in two years. Dual degree students take classes simultaneously over the course of three years in both Kinesiology: Outdoor Education and Social Work and complete a minimum of 77 credits for graduation. This includes two internships, one during their first year of study and a second specialized internship during the third year, which concentrates on the utilization and application of adventure therapy in an agency setting. In order to graduate with the dual degrees, the student completes a 24-hour per week social work/adventure therapy-related field internship in their third year as well as a KIN Thesis or Advanced Studies Project in their last semester. Contact Dr. Michael Gass for additional information. All degree candidates will be required to complete courses listed in the Masters Degree Core, the designated concentration core, and electives as required in order to meet the 30-credit minimum necessary for graduation. In addition to coursework, students follow either the thesis, the non-thesis, or the advanced research plan as described below. For additional information on the dual MS/MSW degree, see Program Description above. A minimum of 30 approved graduate credits, including a thesis (24 graduate course credits plus 6 thesis credits), as well as an oral defense of the thesis, are required in the thesis plan. A minimum of eight approved graduate courses (with a minimum of 30 credits) are required in the non-thesis plan. Four credits of KIN 895 Advanced Studies are required. A student may begin taking KIN 895 Advanced Studies only after completing at least three approved graduate courses. Exercise science students who elect this plan must take a total of 6 credits of KIN 896 Advanced Research in Exercise Science. Outdoor education students who elect this plan must take a total of 6 credits of KIN 897 Advanced Topics in Outdoor Education. In addition, exercise science and outdoor education students must orally present their research to faculty and peers. The Adventure Therapy dual degree program between Social Work and Kinesiology is New England Regional eligible for CT, ME, MA, RI, VT. Admission is based on undergraduate preparation, academic record and letters of recommendation. Applicants must be above-average students and show adequate preparation in the basic support courses of the selected concentration area. Applicants who have not met specific course prerequisites should expect to take additional undergraduate work without receiving graduate credit. A limited number of graduate assistantships are available each academic year. These assistantships are highly competitive and are awarded to meritorious students exhibiting skill sets that coincide with exercise science option & faculty needs. Graduate assistants carry a full academic load (6-12 credits per semester) and are expected to contribute 20 hours per week in the area that the assistantship is held. The areas are typically associated with: a) clinical programs; b) laboratory research; or c) teaching. Graduate assistantships are for one year with possible renewal the second year depending on performance and funding availability. In order to be considered for a graduate assistantship, go to the application link below and fill out and send in (email, FAX, or regular postal mail) the application by the due date. Late applications are generally not considered. Students focusing on higher education outdoor programming gain an understanding of college-level policies, practices, and program structures common to outdoor programs in institutions of higher education, particularly those with outdoor orientation programs (OOPs). Students focusing on youth development outdoor programs learn about contemporary perspectives on youth development, especially related to participation in nonformal educational programs in a variety of outdoor settings and activities. Students focusing on adventure therapy become eligible for licensure and clinical social work practice in wilderness, community-based, or other settings. In addition to the tradition two-year residency-based Masters program, we offer a 15-month accelerated pathway. Students spend one year in intensive study on the Durham campus, then work remotely during their third semester to complete their culminating project, joining faculty at the AEE international conference for final presentations.